I found this while browsing Pinterest. I have been crocheting a lot lately and have learned that it takes a really long time to finish anything. So when I saw this, I was so excited to be able to make something cute and FAST. I will pick some cute colors and make one of these for my daughter and two nieces. I think a button would be cute added where the ends meet. Hi! My name is Dea. I am 37, married, have two kids, and a passionate life. This blog is where I share those passions. 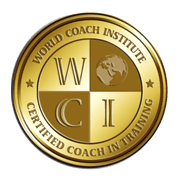 I am currently working toward becoming a Certified Wellness Coach. Recently I have been sharing my weight loss journey, including recipes and inspiring information. My hope is to help you in your wellness journey.